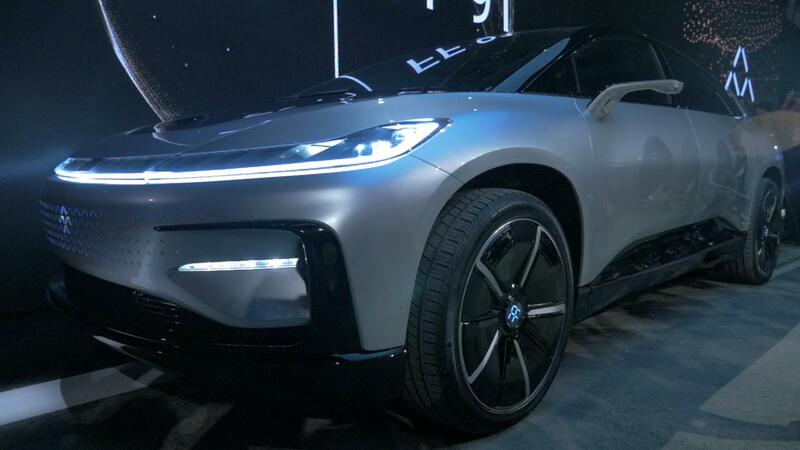 How realistic is the Faraday Future FF 91? Suffice it to say, opinions are divided. Opinions on the feasibility of the Faraday Future FF 91 are mixed, to say the least. You have the slightly NSFW video above, for example, pointing out "everything wrong" with the electric car. You also have people saying we should keep an open mind. There's no question that the automaker's message team is relentlessly positive, but that's often a sure sign that you should put on your skeptical spectacles and take a closer look. A good place to start is the video at the top of this post, which comes to us from Adrianne Jeffries at The Outline. She does a fine job fulfilling the promise of the video's title: Everything wrong with Faraday Future's "Tesla killer." Well, maybe not everything. There are still the side mirrors – or, actually, the side cameras. Hugely popular with the concept car set, side cameras are still not approved in the US for production vehicles, so that's at least one thing that FF will have to change before bringing the FF 91 to market. Either that or get the law changed. But let's get to the gist of Jeffries' video, which points out that FF has a mounting pile of problems, from the departure of executives to the failure of the FF 91 to park itself during a live demonstration at the CES reveal event. While the company did succeed in an unverified time trial between the FF 91 and a Bentley Bentayga, a Ferrari 488 GTB, and a Tesla Model X during the launch event, that's not enough to cancel out the technical failure on stage. At least the race, such as it was, "redefine[d] car unveiling[s]" as part of its "aggressive communication," according to Automotive News. FF needs to keep the good news items coming, because the biggest real-world problem the company faces is the slow progress of its Nevada factory. Sure, senior vice president of R&D and engineering Nick Sampson said that FF is ready to start "phase two" there (without explaining what that means, exactly), but there's still not much to see as of early January 2017, according to PC World. This is not the kind of progress you want to see if you're going to begin building production cars in 2018. And those production cars will, if they are to be anything like the "production" FF 91 Faraday showed on stage, come with a lot of untested tech. Touch sensitive panels on the B-pillar, a rising lidar sensor that comes up out of the hood, and four (!) different cell modems from the four major carriers that are supposed to keep the car connected at all times, no matter where you are. No one else has tried to pack all of these things into a vehicle at once. We're not saying it's impossible that FF gets all of this right on the first try, but unlikely is a fair word to use here. Based on the comments to our original post announcing the FF 91, we don't need to give you any reason to be skeptical. With that in mind, let's put all of the problems facing FF together and try to calculate the chances that the company gets its factory built on time, that the stamping and tooling machines arrive and work as expected, and that all of the supplier parts work with the FF 91 as intended. We have to say those chances are low. New automakers are expected to run into problems as they get going (Tesla certainly did, and if you watched the CES event on YouTube, the main criticism seems to be that FF isn't as good as Tesla), but the headwinds against Faraday Future mean that plunking down $5,000 for a "priority reservation" for one of the first FF 91s – which might cost between $150,000 and $200,000 – is an interesting exercise in optimism.